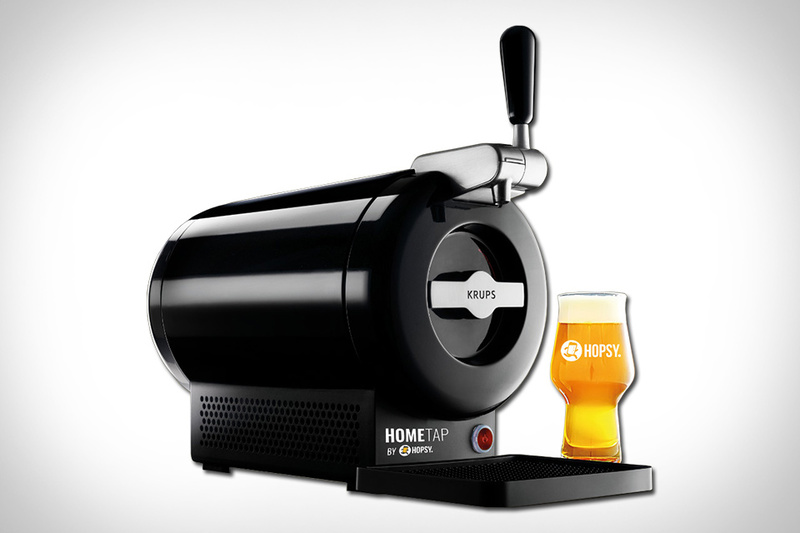 Enjoying cold, draft beer from a great brewery at home is easier than ever thanks to the Hopsy Hometap Beer Dispenser. Developed by Krups — the same company that makes the Nespresso coffee machine — the Hopsy is easy to use and load and fits snugly on your kitchen countertop. Hopsy delivers two liters of beer in each HomeTap bottle, which are available online and shipped directly to you. Once tapped, the beer stays fresh for a couple weeks and can be swapped out for a new choice before or after they are empty. 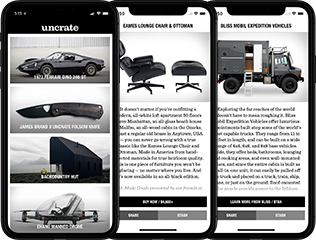 Order as a standalone, part of a Hopsy bundle, or join the monthly subscription club. Brewing and bottling your own batch of beer at home is quite an accomplishment, but it's also a ton of work. With the Catalyst Beer Fermentation System, you can do all the same steps for a brew without having to siphon, transfer, or use a bunch of extra tools or ugly buckets on brew day. And with no transfers, the chances of your beer being contaminated go down dramatically. The tank is made from high-quality, food-safe polymer that is easy to pop into the dishwasher after you're done bottling. It's a homebrewing set that looks great, makes the process easier, and gives you a better chance at nailing a batch you can be proud of. If you take whiskey seriously, you know that proper glassware and presentation make a big difference. Inspired by those needs and fine whiskey comes the Rare Presenter Whiskey Glass Set. It features a suspended tray with a handle that lets you carry it one handed while you hold a precious bottle of fantastic whiskey in your other hand. And the glasses themselves are even more vital, hand-formed by glassblowers from Boroscilicate glass. The shape allows for ideal nosing and tasting, while the material gives a high degree of thermal resistance for hot and cold beverages. A shaker and jigger set is essential to any home bar. And this Foster & Rye Enamel Shaker & Jigger Set looks like an essential addition to your next camping trip. It comes in stainless steel, finished in a classic blue and white speckled enamel. The jigger and shaker are double sided and give you a good looking option for proper cocktails around the campfire during your next outdoor experience. If you've ever tried your hand at homebrewing, you know that the day you brew is the best day in the process. After that, it's a waiting game with plenty of work involved that can last a month or more. This Vessi Beer Fermentor on the other hand, will deliver fresh beer in about a week, and do it in an easier, more controlled environment. Developed by the team at Whirlpool labs, it provides precise temperature and pressure control with minimum exposure to light and oxygen. And once the wort is in the tank, it stays there until it's ready to be bottled or poured off the tap. All this ensures a batch of safe beer in a fraction of the time it takes to do it the old-fashioned way. As classic cocktails have stepped back into the spotlight, the accessories that help you craft them have as well. At the top of that food chain is this Starboard Cocktail Shaker, arriving in sterling silver and green glass. The emerald green represents the green lights that adorn the starboard side of boats. And while it costs more on its own than most bars cost to stock entirely, it's a one-of-a-kind conversation piece that also gives you an assist behind the bar. Brewing your own beer at home is rewarding. It can also be a bit of a chore. The ArtBrew Automated Brewing System aims to make it easy. This all-in-one machine lets you use the built-in LCD or the companion app to choose the kind of beer you want to brew, then add water, malt, hops, yeast, and anything else the recipe calls for, whether it's sourced locally, online, or in a pre-configured Artpack. Once that's done, you simply hit start and the machine will control the mach, sterlization, and fermenting, letting you know when your beer is ready to drink and serving it straight from the built-in tap. Every ingredient has it's own container or compartment, so the process is hard to foul up, and your beer is ready in 1-3 weeks, time that you can use to decide what to make for your next batch.